It's amazing what you can achieve with a little passion and determination, as one great young mind has discovered in the land down under. 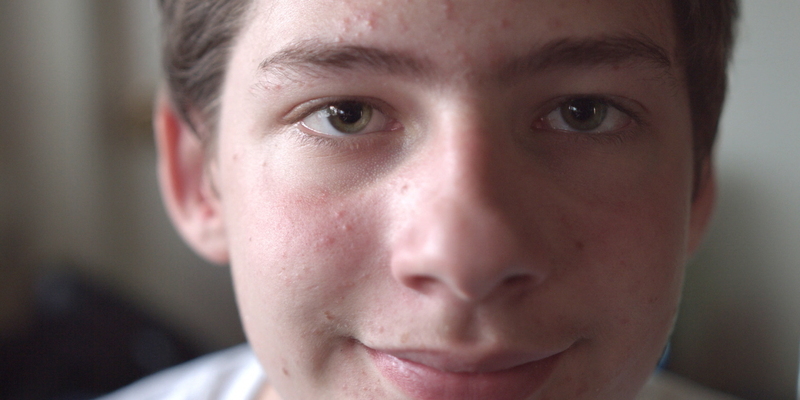 Meet Hamish Finlayson - a 14-year-old Australian boy, an avid game developer, a budding entrepreneur, and someone with autism. He's still in school but already he has five video games under his belt – an achievement not to be understated. As the world's attention turns to Autism Spectrum Disorder (ASD) as part of Autism Awareness Month, we think it's the perfect opportunity to highlight his accomplishments and cast the spotlight on the potential of technology and eye tracking to improve not only our understanding of ASD, but also increase acceptance and empathy for those living with ASD and their families. The ASD spectrum is wide. Some people are non-verbal, while others, like Hamish, are exceptionally capable of living regular lives and developing great skills for certain activities due to the focus that autism gives them towards things of interest. A love of video games and the realization that he could create the content of one sparked Hamish's interest in programming. Driven by passion for helping people and the environment, Hamish made several apps centered around creating awareness for nature and those with autism. His first game, ASD and Me, features Triple T the Turtle – a recurring character in Hamish's games – at a party with loud music. The goal is to find noise cancelling headphones so Triple T can enjoy the party. The aim of this game is two-fold, he wants to both teach children with autism how to manage certain social situations, and teach those without autism how to view things from the perspective of someone on the spectrum "because well I have it and I want to express issues relating to it, loud noises, stuff like that," he says. Now things are going one step further; Hamish has decided to add eye tracking to his new virtual reality project Transport Pathways, a game designed to help kids and adolescents learn how to cross the road safely. He says, "I was aware of the differences in eye contact with people on the spectrum...and thought if we find a way to be able to collect the data then we can use that and help the world." After learning about the value of eye tracking in understanding human behavior, Hamish reached out to us to see how he could make his vision come to life inside our HTC Vive VR headsets with integrated eye tracking. We sent him a headset plus the analysis software needed, and put him in touch with our product managers and RnD team for advice, and for the past three months he's been working away in Townsville, Australia. The value of eye tracking within the research and treatment of people with ASD is becoming more widely realized. 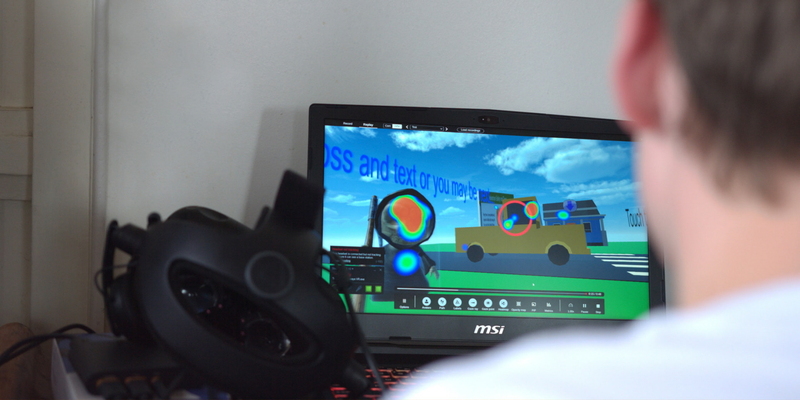 Dr Brian Sullivan from the University of Bristol recently published a paper explaining how he and his team used an eye tracking based game to study the auditory thresholds of non-verbal children with ASD. The aim is, that down the track, it may be possible for diagnostic tests to be run more easily to evaluate auditory perception in non-verbal people with ASD. There's also a significant amount of research into how eye tracking could aid in the early detection and subsequent early intervention of autism. Researchers at Osaka University claim that "by using eye tracking, even a non-expert is able to draw ample information from non-verbal children. The method has a wide range of applications such as screening of developmental disorders in children." The earlier a child with ASD is diagnosed the better, but often it's hard to receive a diagnosis, either because of a lack of access to clinicians and developmental psychologists, or the fear and stigma surrounding an ASD diagnosis. There is hope that in the future eye tracking could help make diagnosing ASD easier and increase the range of people able to use it as a diagnostic tool which would hopefully lead to earlier intervention and better outcomes. There's also a growing body of research into how eye tracking can help deliver greater knowledge about brain function in those with ASD. Researchers from the University of Geneva used eye tracking in combination with electroencephalography (EEG) to study the brain activity of children with autism. Their work indicates that it may be possible to develop therapeutic interventions targeting social orienting skills which may help to 'rewire' the brain at an early age when neural plasticity is still possible. More eye tracking related ASD research is covered in our previous blog post Differences aren't deficiencies: Eye tracking reveals the strengths of individuals with autism. Like many fields, more work is needed to make greater inroads on our understanding of ASD and how to treat it. There are numerous support organizations across the globe which are working to assist research and help families who live with this condition. Some organizations are listed below.